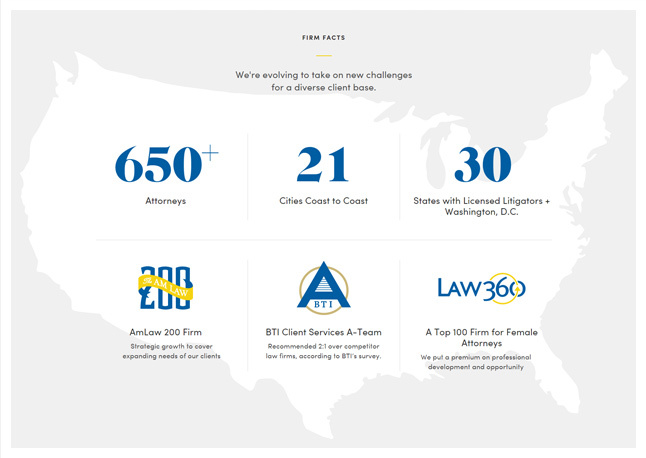 The firm: Dinsmore is an AmLaw 200 firm with over 650 attorneys located across the United States. 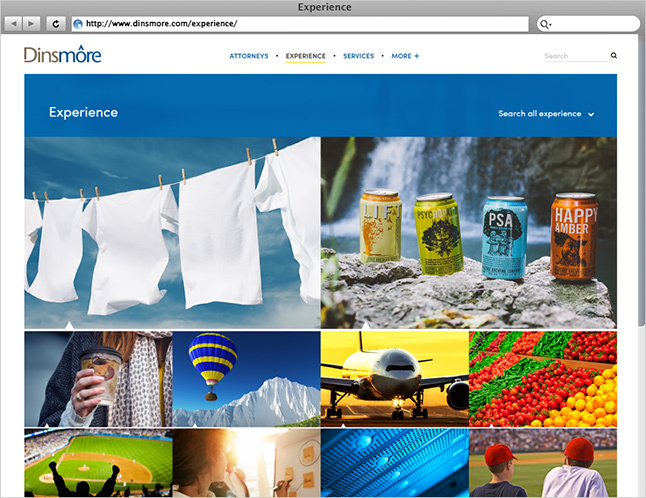 The challenge: Over 100 years old, Dinsmore has tripled in size over the past 20 years. Having dramatically increased its breadth and capability, the firm needed a sophisticated website that would properly position it as a national powerhouse. Additionally, the firm needed a modern CMS toolset that would offer the flexibility to uniquely market each attorney and service. 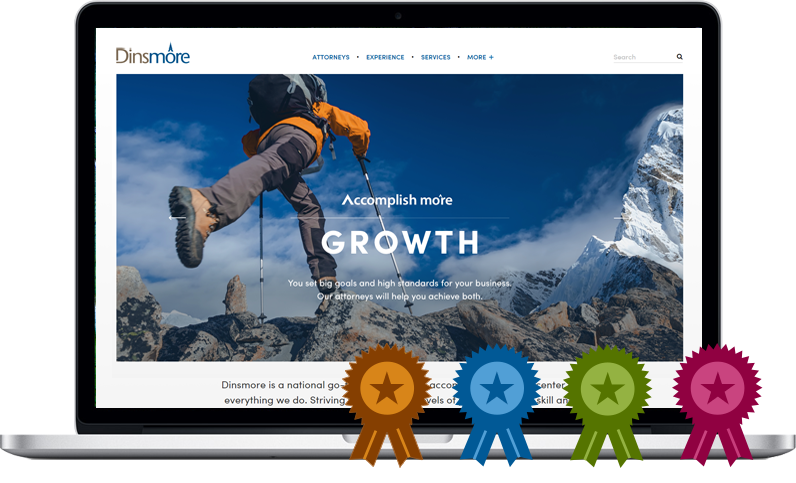 The homepage features an animated sequence built around the tagline, “Accomplish more.” Engaging, full-frame photos are used to highlight four “power statements,” which encompass the positive and progressive culture of the firm. Great Jakes added fluid movement to these stills to create a dynamic experience that pulls viewers in. The website prominently features client stories that illustrate the firm’s experience across a wide array of services. These stories were crafted to highlight the firm’s elite clientele and to describe the kind of enduring, collaborative relationships upon which the firm has been built. The website is equipped with Great Jakes’ new Dynamic Sidebar Tool. 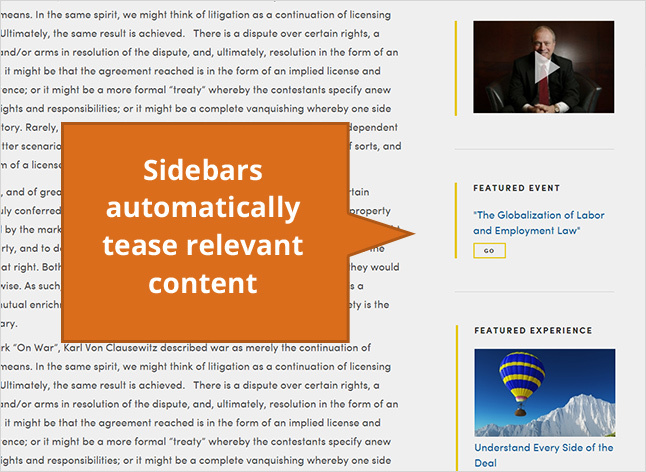 This feature allows firms to easily create and manage sidebar content, including “suggested content” teasers that keep site visitors engaged. The suggested content can be manually curated, or the feature can be set to “automatic mode,” which uses a proprietary algorithm to suggest related content. The website features Attorney Microsites—a unique approach to lawyer bios that was pioneered by Great Jakes. Attorney microsites are, essentially, small websites for each attorney that fit within the firm’s larger website. 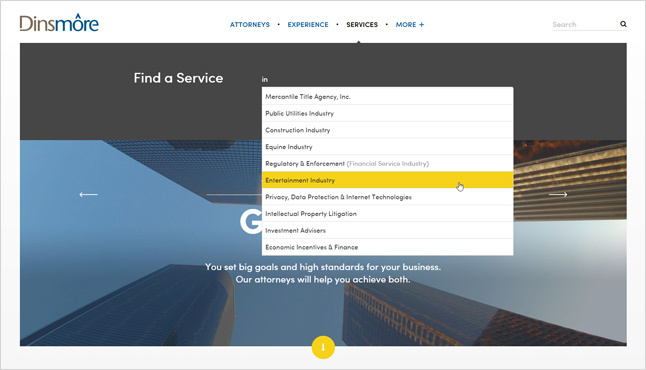 Attorney microsites can be customized to the specific business development needs of each attorney and contain any number of pages or type of content. 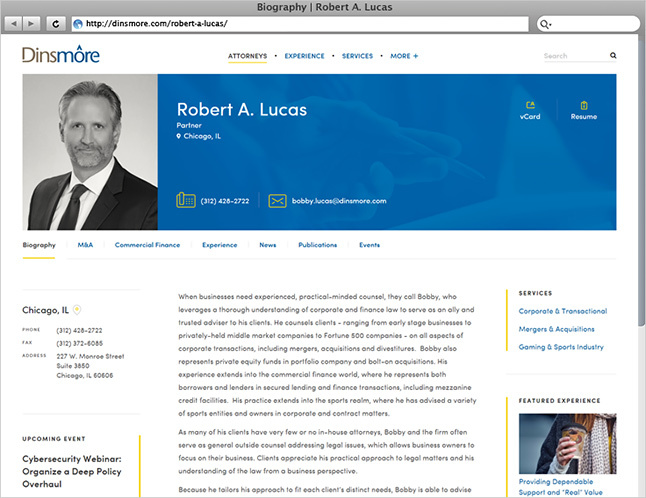 For a great example of how the firm is using the attorney microsite functionality, see Lee Stautberg. Our microsite technology was also deployed for the firm’s Services. For a great example, visit Trademark Procurement/Management & Copyright. Rather than burying distinguishing information within the About or Awards pages, the website incorporates key firm information and stats into an infographic on the homepage. As the firm grows and evolves, the forward-thinking CMS will enable the infographics to be easily updated.